Read on to see our 10 artists taking part! Louisa Menke was born in 1984 in North Africa, now residing in Barcelona you can often catch her at MACBA, or killing it at street spots around the city. A prolific skateboarder and keen photographer, Louisa has recently taken part in ‘Yeah Girl’, a female skateboarding exhibition from Australia. Maria is 28 and from Gijon, a city in north Spain. Co-ower of Sewers Skateshop, Maria also works full time as a receptionist, somehow finding the time to skate and take photos in between! Marie Dabbadie is a 23 yr old photographer from Hossegor, France living in Malmö, Sweden. Having skated and taken photos for almost 10 years, Marie is currently working on a project called Xem Skaters about genderqueer skateboarders. She will be showing photographs from this project and introducing her fanzine at the exhibition! Jenna is 37 and lives in Hemel in Herts, having originated from a village called Kings Langley. A photographer working for a variety of Councils, Housing Associations/Trusts and Private Companies, Jenna is also a well known name in the UK skate photography (and filming!) scene, having released her second skate film, ‘Days Like These’ last year. Jenna took up Photography in 1998 after a friend took her to an evening class and she has never looked back, going on to study photography at Uni in Newport. Raisa Abal is 25 years old and from Vilagarcía de Arousa, a little coastal city in the Spanish NorthWest. Raisa’s interest in photography was sparked at 11 yrs old when her grandpa gave her a Polaroid 35. She decided to study Audiovisual Communication and after that a Masters in Advertising Art Direction to apply her studies in the Branding world. She now lives in Barcelona where we got the pleasure to meet her last month and add her to our list of artists! Photographer Tracy Gray (AKA The Girl Of Stuff) whose first full-time job was working in a photo lab in the early nineties, went back into full-time education in the new Millennium to study BTEC Foundation in Art & Design (specialising in Photography) and then onto a BA in Photo Media at the Kent Institute of Art & Design (KIAD). 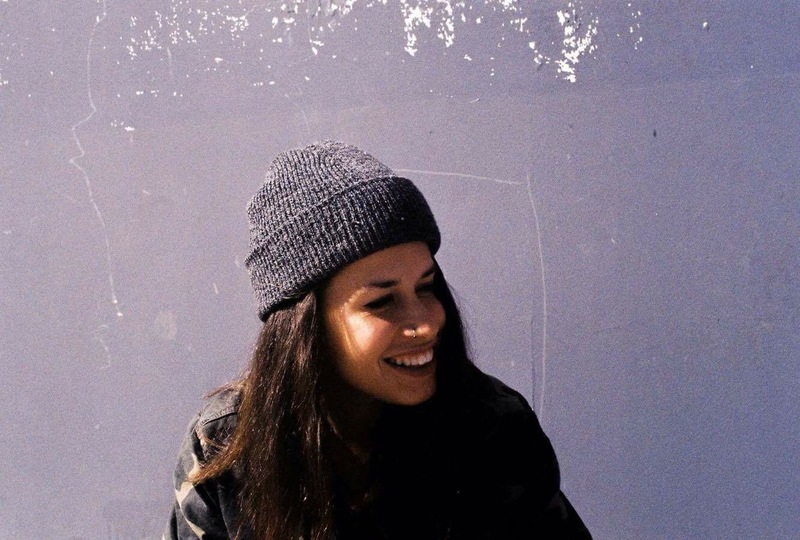 It was the (lifelong) friendships she made back then and their passion for skateboarding that attracted her to the lifestyle. Although dabbling with skateboarding herself over the years, Tracy reckons she’s better off behind the camera lens and enjoying the party. The odd one out in our Fellowship exhibition! Eloise has teamed up with Tracy to embellish her photographs with cute and quirky illustrations using acrylic paint. 20 years old, Eloise is half German, half French but born and raised in England and has been living in London for over 2 years now (with a small gap in the middle somewhere). Drawing and art were always a huge part of her life, but it was only when she left school that she ever contemplated it as a career. It wasn’t until Eloise started skating and combining that with art, that she started to realise that she could perhaps do it as a full time job one day! Eloise currently works full time as an artist/illustrator in London, whilst also constantly contemplating a real job. For now though, she is content swaying between skating and working in her studio everyday… We don’t blame her. Photographer Charlotte Thomas from Hereford has worked with everyone from Vans to Vogue (check out her Topshop shoot from last year), and is currently in the process of making her first book, Concrete Girls – a visual celebration of female skateboarders in the UK. Charlottes work has appeared in The Sartorial Guide, Trap Magazine, Sidewalk Magazine, and Breaks Magazine, which has helped her create a career around skateboarding photography. Sophie Allen is from a small country town in New Zealand, growing up skating and making DIY ramps with her mate Mike in their back yards. Sophie moved to London when she was 21 years old with her skateboard and camera, dreaming of studying art and seeing what the skate scene was like over here. Since then she’s gained a first class honours degree in Graphic Design and now at 28, currently works as a designer / art director. When the workload slows down, Sophie spend her days skateboarding around Hackney where she lives and taking photographs on a few old film cameras that she can’t stop bidding on on eBay for! The youngest of our photographers is 18 yr old Mar Simó from the skateboarding City of Barcelona in Catalunya. She likes to skate the streets and take photos of the city and the people/animals that she meets. If you go to La Marbella Skatepark you will find her!